Should you partition your hard drive? Leo weighs the pros & cons. 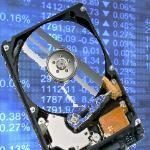 Two schools of thought on the best way to organize your data, programs and operating system – hard drive partitioning versus folder management.